A joint investigation by the Union County Prosecutor’s Office, the United States Drug Enforcement Administration (DEA) New Jersey Division and the Elizabeth Police Department arrested seven individuals who were involved in a sophisticated and widespread drug distribution network, announced Prosecutor Theodore J. Romankow. On December 1, 2011 search warrants were simultaneously executed at 297 Branch Brook Drive, Belleville, New Jersey, and 13 Barnes Court, Perth Amboy, New Jersey. As a result of these search warrants, approximately $39,000, three motor vehicles, and approximately 250 grams of heroin with a street value of $65,000, were seized, said Romankow. In addition to the Prosecutor’s Office, DEA, and Elizabeth Police Department, the Middlesex County Prosecutor’s Office, the Essex County Prosecutor’s Office, Belleville Police Department and Belleville SWAT Team, and Perth Amboy Police Department participated in the investigation. 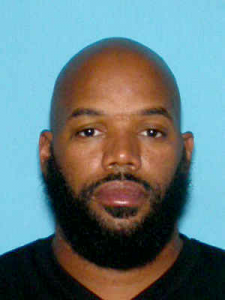 The arrests and seizures were the results of a two month investigation focusing on the activities of Wendell Wilson’s heroin trafficking organization which controlled much of the heroin trade in Elizabeth, New Jersey, said Romankow. Wilson’s operation was being investigated by the Union County Prosecutor’s Office Guns, Gangs, Drugs, and Violent Crimes Task Force. The investigation revealed members of Wilson’s organization distributed heroin in throughout New Jersey, North Carolina and South Carolina. Wilson is a high-ranking member of the East Side Mob Gang PIRU, a set of the Bloods criminal street gang, said Romankow. Following the execution of the search warrant it was revealed that the Belleville address was being used as a heroin mill, a location where pure heroin is cut and packaged into glassine envelopes for street sales. This remains an active investigation and additional information will be released as it becomes available. A list of those arrested appears below. Bail was set by Superior Court Judge Joseph P. Donohue. Charges: Financial facilitation of Criminal Activity, and Conspiracy to Distribution a Controlled Dangerous Substance, Possession of a Controlled Dangerous Substance and Possession of a Controlled Dangerous Substance with Intent to Distribute.